Just days before Ringling Bros. arrives for its New York opening at the Nassau Veterans Memorial Coliseum, native Long Islander Alec Baldwin is starring in a brand-new PETA video exposé of the behind-the-scenes beatings that elephants endure in the circus. “Having worked with actors for many years, it’s hard for me to believe that anyone would have to be dragged kicking and screaming into show business. But for elephants with Ringling Bros. and other circuses, that’s exactly what happens,” says Baldwin, who is urging New Yorkers to stay away from the circus—unless they’re joining PETA’s opening-day protest. 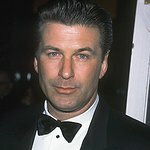 Baldwin’s video comes on the heels of a landmark $270,000 fine that Ringling paid to the U.S. Department of Agriculture over violations of the Animal Welfare Act and just a week after England officially banned elephants and all wild animals from the circus. As the 30 Rock star explains in the video, elephants in the circus are denied everything that is natural and important to them. Baby elephants are torn away from their mothers, stretched out, slammed to the ground, and shocked with electric prods to teach them to obey and perform the tricks seen in a circus routine. Adult elephants are routinely beaten and shocked to keep them in constant fear of punishment. And when they are not performing, elephants are kept chained and confined to cramped boxcars or arena basements. Baldwin’s not the only star speaking up for elephants: Jada Pinkett Smith, Cloris Leachman, and Rock and Roll Hall of Famer Chrissie Hynde all recently appealed to officials in their hometowns to bust the big top over the unlawful beatings, and Jillian Michaels led a massive PETA protest outside Ringling’s show in Los Angeles. To watch Alec’s video, click here.